If you do not have a wing needle or are afraid to use one then use a size 18 jeans needle. The effect will not be as obvious but still very pretty. A printable full size template of the pillowcase wavy edge is included with these designs. A wing needle (WN) emulates pulled thread embroidery, a hand embroidery technique where the threads within the weave of the fabric are pulled over to the side and kept in place with hand stitches. A wing needle does the same thing. 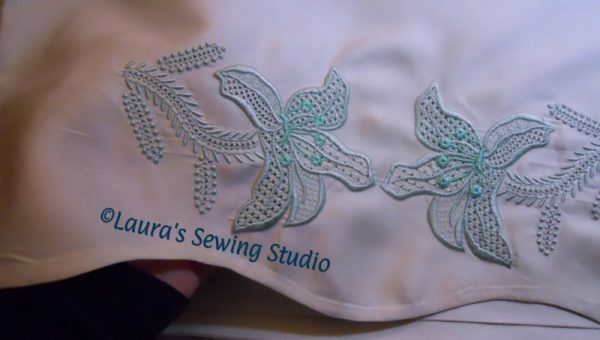 The wings on either side of the needle separate the threads within the weave of the fabric and the stitches hold it in place. It gives the appearance of “holes” in the fabric. Padded stitches are not something included in my digitizing software. 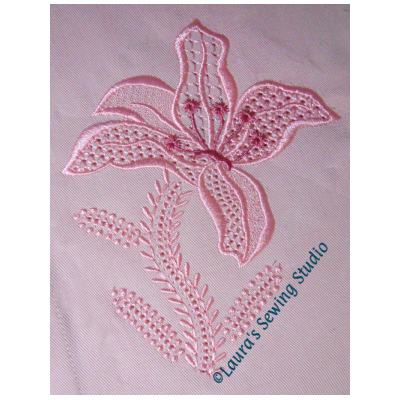 I manually padded these designs like a master hand embroider pads her stitches. Photos never give enough justice to 3 dimensional embroidery, but I try. The designs fits the 5×7 hoop. It is also split into two (2) parts to fit the 4×4 hoop. 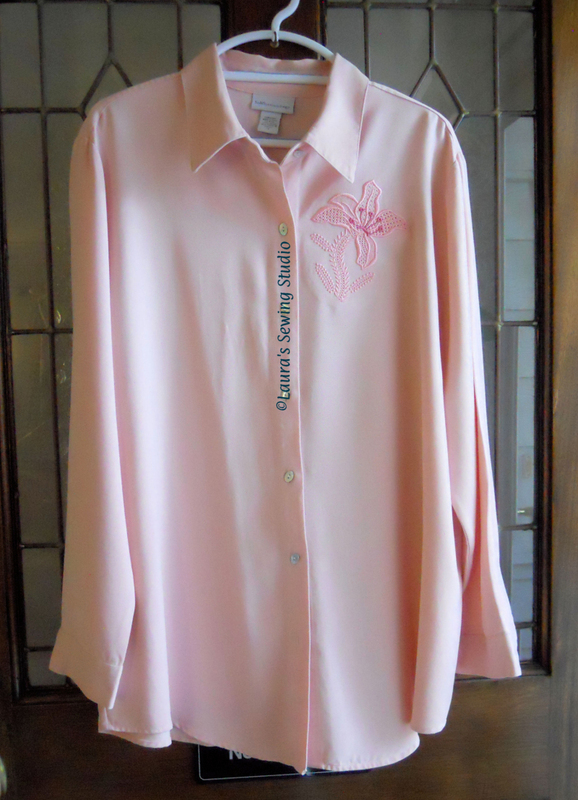 An additional design of just the stem is added for additional possibilities like I used on the back yoke of my shirt. 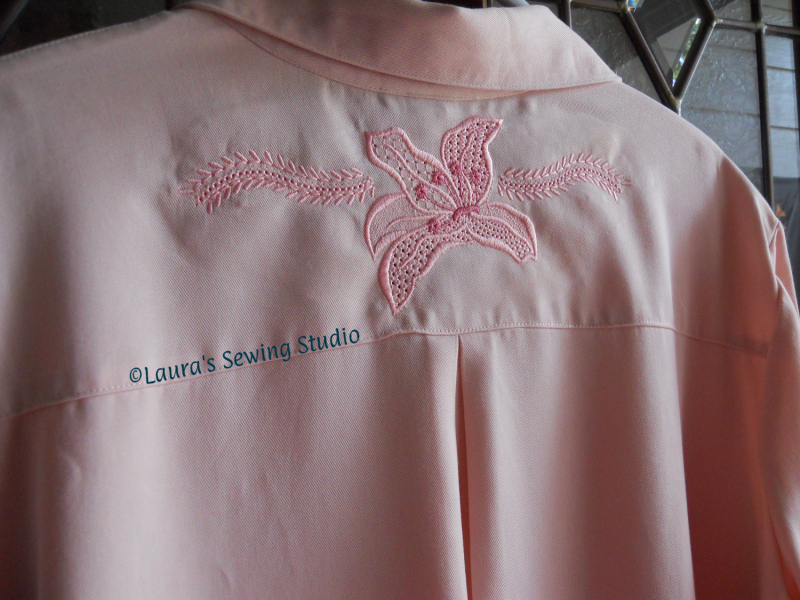 I also added the full design of the arrangement on the back yoke of my big shirt for those of you who have a 6×10 hoop. 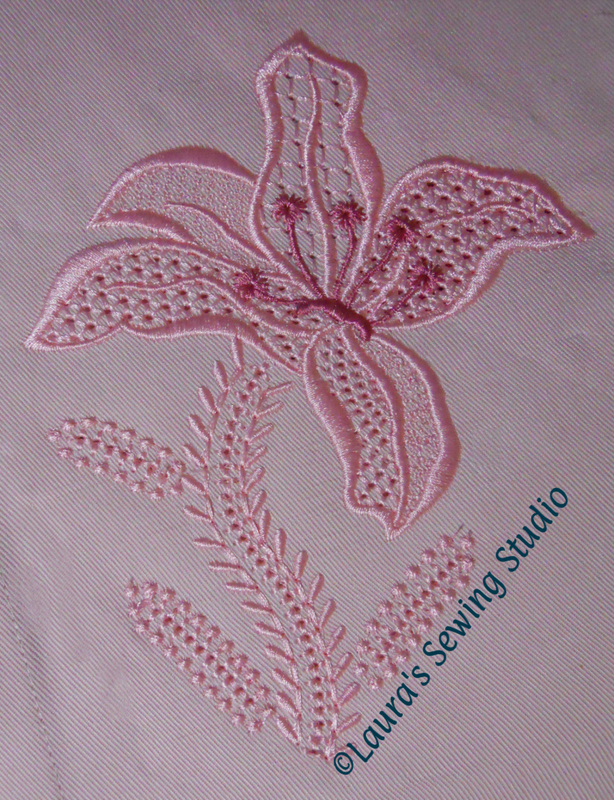 This design can be sewn with smaller hoops using the split 4×4 flower design, plus the stem design. 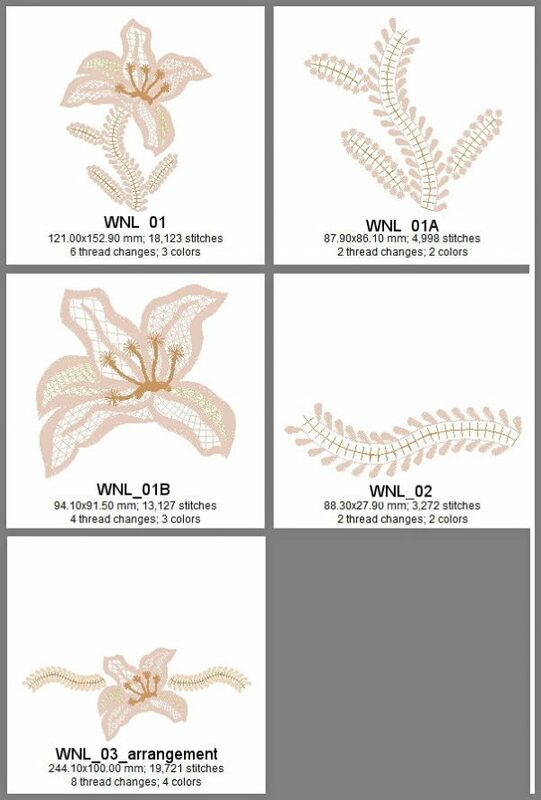 Includes the single Wing Needle Lily for the 6×10 hoop, as well as the decomposed/split for the 4×4 hoop (three design files) and an alternate arrangement for the 6×10 hoop. Happy birthday, Janet! Love your work.